Mansfield Plant Hire is an earthmoving contractor operating in the Mansfield and surrounding areas we are also willing and able to travel throughout Victoria. We have a wide range of equipment available including Excavators, CAT D6R XL Dozer, CAT 140H Grader,15000 litre water Truck, CAT 563E smooth Drum Roller, JCB4cx Backhoe , Tip Trucks and more. 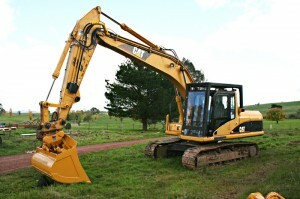 We also have a fully qualified and experienced team to operate all of our equipment. We have experiance working for government departments in bush areas creating fire breaks, constructing and maintaining roads including installation and maintenance of culverts and maintenance of culverts & drainage. 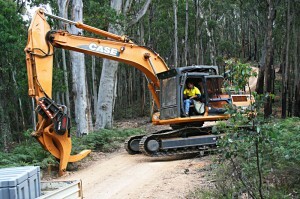 Our qualified and experienced operators understand the requirements when clearing land, removing trees or stumps, levelling sites and preparing a site for construction. We have the know-how to get you the result you need.